Epidemiological studies have revealed that the intake of grain-based products and whole grains is linked with a reduced risk of age-related disorders and oxidative-stress related chronic diseases such as obesity, cardiovascular diseases, type II diabetes and carcinogenesis. Whole grain flour is believed to be beneficial to health due to its high constituent of antioxidants especially phenolic acids. The antioxidants in whole grains are mostly concentrated in the germ and bran. Apart from antioxidants, whole grains also contain flavonoids, carotenoids, vitamin E, Phyto-antioxidants and vitamin C (tocotrienols and tocopherols). Grains are seeds from plants of the Gramineae family. Some examples of grains include wheat, rice, rye, oat, barley and corn. These grains have remained the major source of food and nutrition to humanity since time immemorial. Of all these types of grains listed above, wheat is the one addressed in this article. Wheat is classified among the three major cereal crops in the world and more than 600 million tonnes are usually harvested on a yearly basis. Wheat is a cosmopolitan staple food and a type of grass that is mostly planted for its seed. All the wheat species make up the Triticum genus and the common wheat is botanically known as T. aestivum. The most popular types of wheat are common wheat (Triticum turgidum ssp.aestivum), which is mostly used for baking bread and durum wheat (Triticum turgidum ssp.durum), which is used to making pasta. Wheat grain or caryopsis is the second to rice major edible food crop. This staple food contains various tissues namely: the endosperm (filled with starch grains to give energy for germination), the embryo or germ, the pericarp and cell-walled aleurone layer (envelopes the endosperm). The bran contains the testa, pericarp, aleurone and hyaline layers. A standard milling of wheat grains involves separating the endosperm so that the white flour can be produced from the embryo and bran layers when milled. The other bran layers, embryo and aleurone cells are often removed to form the bran fraction. While producing flour from wheat grain, germ and bran are separated as by-products. The distinctive characteristic of wheat flour is its ability to form dough thereby making it possible to be processed into various types of bread and baked food products. Wheat is a rich source of zinc, vitamin B1, B2, B3, E, calcium, dietary fibre, folic acid, copper, iron and phosphorus. 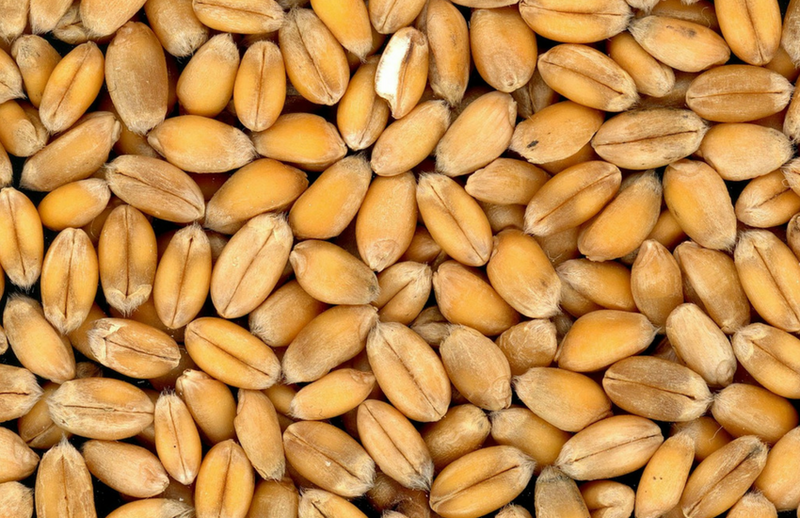 The wheat germ (WG) is an excellent constituent of dietary fibre, minerals, B group vitamins, bioactive components, unsaturated fatty acids, tocopherols and protein. Wheat germ protein contains a high amount of essential amino acids especially threonine, methionine and lysine. The high levels of unsaturated fatty acids, lipoxygenase enzymes and lipase in raw wheat germ contribute to its rancid flavour and bitter taste during storage. Microwave heating, autoclaving and roasting can be used for stabilizing the wheat germ. Most of the essential antioxidant phytochemicals such as alkylresorcinols and phenolic acid found in wholewheat grain are located in the germ and bran fractions. Watch this Short Clip on the Amazing Benefits of Wheat!!! It is worthy to note that the health benefits of wheat are solely dependent on the type of wheat being consumed. The health benefits will be reduced if the wheat has been processed by 60% extraction, hence it is always recommended to choose 100% whole wheat products. 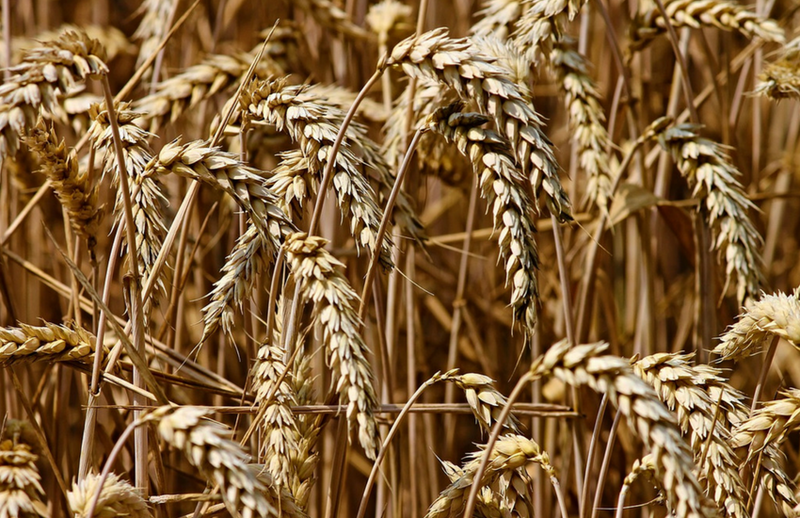 Raw wheat can be processed into flour while the hard durum wheat can be processed into semolina. Durum wheat and Kamut can be used for making pasta while semi-whole wheat flour can be used for baking bread and crackers. Wheat can also be used for baking doughnuts, biscuits, rolls, pastries, pies, tortillas, cookies, muffins, pancakes, nan (leavened round bread), cakes, unleavened flatbread and matzo (flatbread). Wheat can also be used for making vodka, noodles, gravy, tarhana, muesli, breakfast cereals, macaroni, beer and boza (a fermented beverage). Some researchers investigated if a replacement diet with products produced with organic Khorasan wheat could minimize lipid, oxidative and inflammatory risk factors in patients with Acute Coronary Syndromes (ACS). This experiment was conducted in comparison with a similar replacement diet with food products produced from organic modern wheat. The patients were made to randomly eat products such as pasta, bread, crackers and biscuits produced either from organic semi-whole control wheat or organic semi-whole Khorasan wheat for a period of eight weeks. At the end of the eight weeks period, blood samples from the patients were collected and analyzed to respectively compare both the khorasan and control intervention phases on circulatory risk factors for the patients. Consuming the products made with khorasan wheat led to a remarkable improvement in total cholesterol (-6.8%), low-density lipoprotein cholesterol (LDL-C) (-8.1%), insulin (-24.6%) and glucose (-8%) from baseline levels. There were also significant reductions in reactive oxygen species (ROS), levels of Tumor Necrosis Factor-alpha, lipoperoxidation of circulating monocytes and lymphocytes. However, there were no significant differences observed from baseline in the same patients after the conventional control wheat intervention phase. Therefore, a replacement diet with cereal products made from organic Khorasan wheat offers additional protection to patients suffering from ACS. There have been some debates that wheat consumption contributes to obesity. Using the available evidence, researchers have revealed that whole wheat consumption cannot be associated with increased prevalence of obesity in the society. These researchers attested that designating the cause of obesity to one particular type of food or food products, instead of overconsumption and inactive lifestyle in general, is false. To a larger extent, consuming the right portion of foods made with whole wheat is linked with weight management and significant reductions in the onset of type 2 diabetes and heart disease. Whole wheat dietary fibres, phytochemicals, resistant starch, beta-sitosterol and anti-nutrients such as tannin and phytic acids can lower the plasma cholesterol and triglycerides. The selenium, phenolics and phytosterols in whole wheat exhibit anticancer effects. Also, the metabolism of lignans i.e. di-phenolics present in whole wheat is reported to significantly reduce the risk of breast cancer. The phenolics found in whole wheat exhibit antioxidizing properties thus can scavenge for free radicals in the body. The orthophenolics found in wheat significantly inhibit tumour development. Wheat allergy is an allergic reaction to foods that contain wheat. The allergic reactions can be initiated by consuming wheat or by inhaling wheat flour. The consumption of wheat products is widely believed to initiate IgE-mediated allergic reactions. Gluten is the main structural wheat protein made up of gliadins and glutenins, which can trigger coeliac disease in genetically susceptible individuals. Respiratory allergy or bakers' asthma can be triggered by wheat. Anaphylaxis, rhinitis, atopic dermatitis and urticaria are other forms of allergies that can be triggered by wheat proteins. The common treatment for wheat allergy is to avoid wheat. Dietary intolerance to wheat is more popular than the allergy such as coeliac disease. Coeliac disease is a health condition that is characterized by the chronic inflammation of the bowel thereby leading to malabsorption of nutrients. An individual that suffers from wheat intolerance or wheat sensitivity produces an inflammatory response to wheat proteins present in his/her diet. It is worthy to note that wheat intolerance is not the same as gluten intolerance. Symptoms of wheat intolerance include severe headaches, stomach ache, Irritable bowel syndrome (IBS), fatigue, joint pain, sinusitis and depression. - de Punder K, Pruimboom L (2013), The dietary intake of wheat and other cereal grains and their role in inflammation. Nutrients 5: 771-787. - Donaldson M. S. (2004), Nutrition and cancer: A review of the evidence for an anti-cancer diet. Nutr Journal 3: 19. - Fred et al., (2013), Does wheat make us fat and sick?, Journal of Cereal Science, Volume 58, Issue 2, pp.209-215. - Okarter, N., Liu, C., Sorrells, M. E., Liu, R. H. (2010), Phytochemical content and antioxidant activity of six diverse varieties of whole wheat. Food Chem., 199, 249–257. - Jung, M. Y., Jeon, B. S., Bock, J. Y. (2002), Free, esterified, and insoluble-bound phenolic acids in white and red Korean ginsengs (Panax ginseng C. A. Meyer). Food Chem., 79, 105–111. - Neuhausen, S. L., Steele, L., Ryan, S., Mousavi, M., Pinto, M., Osann, K. E., Flodman, P. and Zone, J. J. (2008), Co-occurrence of celiac disease and other autoimmune diseases in celiacs and their first-degree relatives. J. Autoimmun., 31, 160–165. - Pixabay (2018), Images via pixabay. - Stevenson et al., (2012), Wheat bran: its composition and benefits to health, a European perspective, International Journal of Food Sciences and Nutrition, 63(8): 1001–1013. - Tatham, A. S., Shewry, P. R. (2008), Allergens to wheat and related cereals. Clin. Exp. Allergy, 38, 1712–1726. - Whittaker A., Sofi F., Luisi M.L.E., Rafanelli E., Fiorello C., Becatti M., Abbate R., Casini A., Gensini G. F., Benedettelli S. (2015), An organic Khorasan wheat-based replacement diet improves risk profile of patients with acute coronary syndrome: a randomized crossover trial. Nutrients, 7: pp.3401–3415. - Yu L, Nanguet AL, Beta T (2013) Comparison of Antioxidant Properties of Refined and Whole Wheat Flour and Bread. Antioxidants (Basel) 2: 370-383.